We have 6 instructors in your area! Ruedi is the founder of YES! Driving School. 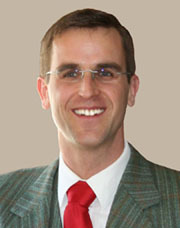 Originally from Austria, he permanently moved to the UK in 2002. He now resides and provides a quality service as a driving instructor in Wimborne, Dorset. Ruedi is a Driver and Vehicle Standards Agency (DVSA) approved Grade A Driving Instructor and registered with the Driving Instructors Association (DIA). He is also a qualified Edexcel Lvl3 Assessor as well as holding a Fleet Training Qualification and NVQ 3 in Driving Instruction. During his service with the Austrian Army and further work with the UN Military Police in Cyprus and the Middle East, Ruedi has acquired a range of skills and vehicle licences for Motorbike, Car, Articulated Truck & Trailer and Coach, both, with manual and automatic transmissions. 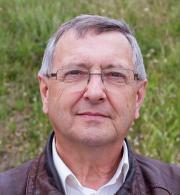 Ruedi loves working with people and passing on his knowledge. He also has experience in teaching windsurfing & dinghy sailing. Being a patient and thorough tutor, he is happy to repeat his instructions until the manoeuvres are made to perfection. He puts his pupils at ease which is what makes his lessons enjoyable. Ruedi recommends the number of lessons one needs to pass the test and drive safely for life. 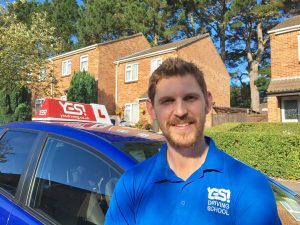 He has been a driving instructor in Wimborne and the surrounding area for some time now. Ruedi has a comprehensive knowledge of the area and an in-depth knowledge of driving test routes around Bournemouth, Poole and Dorchester. Most of Ruedi’s pupils have passed their tests at the first or second attempt. Amy joined YES! Driving School when she moved to Hampshire and now lives in Ringwood. She chose to join YES! Driving School as a female manual driving instructor as they are a professional, client focused and very friendly bunch! Amy passed her first two stages of becoming a driving instructor at the the age of 20yrs old. She trained for her ADI qualifying exam and passed when she turned 21yrs old, passing all her tests first time. 12yrs later Amy has gained a great deal of experience and has stayed up to the highest grade instructor – Grade A.
Amy has a relaxed yet client focused approach to her lessons. She aims to listen to her clients needs, make individual lesson plans and develops their skills to maintain steady progress in each lesson. Amy has a very high pass rate and is passionate about her career as a driving instructor. She is continuously developing new skills and working on different strategies for her clients to get the most out of each lesson. Mark joined YES! Driving School in April 2017. He considered many other driving schools, then chose YES! as the stand out, professional and friendliest driving school in Dorset. 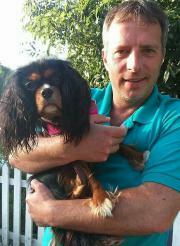 Mark served for 26 years in the Royal Marines and has served all around the world. During his time in the Royal Marines, Mark held various instructional positions. Aside from his military qualifications, he is an experienced instructor for Skiing, Rugby and Polo. A member of the Institute of Advanced Motorists, he has also received driver training in a variety of different driving styles. These include Off-road, rallying, evasive driving and he has successfully completed the Police advanced driving course. Mark takes a client centred approach to training. He believes that when a student understands the ‘How & Why’ and applies that during learning, progress and success can come quickly. Learning to drive can be daunting and Mark can still remember the first time he went 30mph. Therefore he ensures that all lessons are conducted in a relaxed no nonsense style, working together as a team to ensure lesson goals are achieved. Mark has lived in Dorset for 26 years so will always find you some appropriate and challenging driving routes. This will advance your skills and develop your driving experience. Mark is also involved in promoting YES! into the best driving school in Dorset by developing our Trailer Training course along with Steve. Mark recently furthered his own skills by successfully achieving a Gold standard on the Royal Society for the Prevention of Accidents (RoSPA) Advanced Driving Test. He is also now on the RoSPA Tutor List. 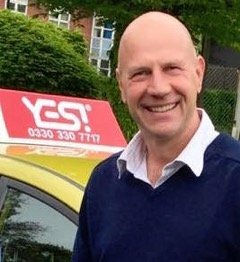 You can learn to drive in Ferndown with YES! Driving School! Take lessons in a manual or automatic car and we now also offer trailer lessons (B+E) at competitive rates. Our reliable, patient and friendly instructors cover all areas of Ferndown. With YES! you can have your driving lessons in Ferndown with peace of mind knowing you are with a fully qualified, DVSA approved & DIA registered driving instructor. We welcome anxious and nervous pupils and our experienced instructors will transform you overtime into a safe and confident driver! How much will a Driving Course in Ferndown cost? How do I book my driving lessons in Ferndown? 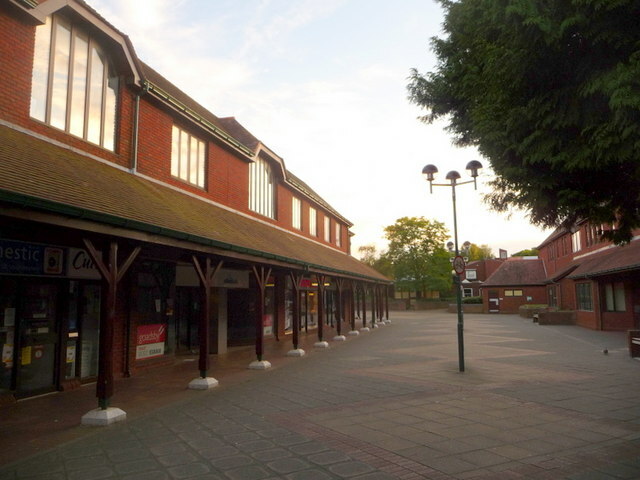 Ferndown is a town and civil parish in the East Dorset district of Dorset in southern England, situated immediately to the north of unitary authorities of Poole and Bournemouth. The parish, which until 1972 was called Hampreston, includes the communities of Hampreston, Longham, Stapehill and Trickett’s Cross. The latest population figure (2006 mid year estimate) for the parish is 17,200.